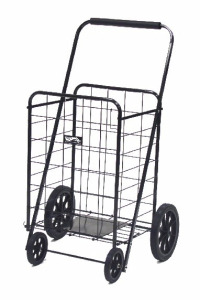 This Big Bruno Folding Metal Shopping Cart is sturdy, strong, and built to last! Comes in handy when you're out shopping, doing the laundry, gardening, or other activities requiring transport of various items! The rear wheels are 9 1/2 inches in diameter and the smaller front wheels are 5 1/2 inches in diameter. 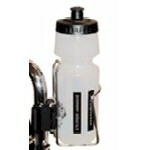 It’s available in black and folds flat for storage. 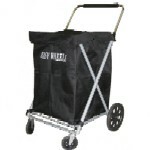 Choose the Big Bruno for your next shopping trip or select one of our other shopping carts. If you need assistance with your selection or have any questions, please feel free to call 888-833-8875. Partially assembled, just add the wheels. Tools and parts needed included.